With the House set to consider legislation to re-evaluate the state’s health commission, a flurry of pre-filed amendments could set the stage for a fiery debate over end-of-life issues. 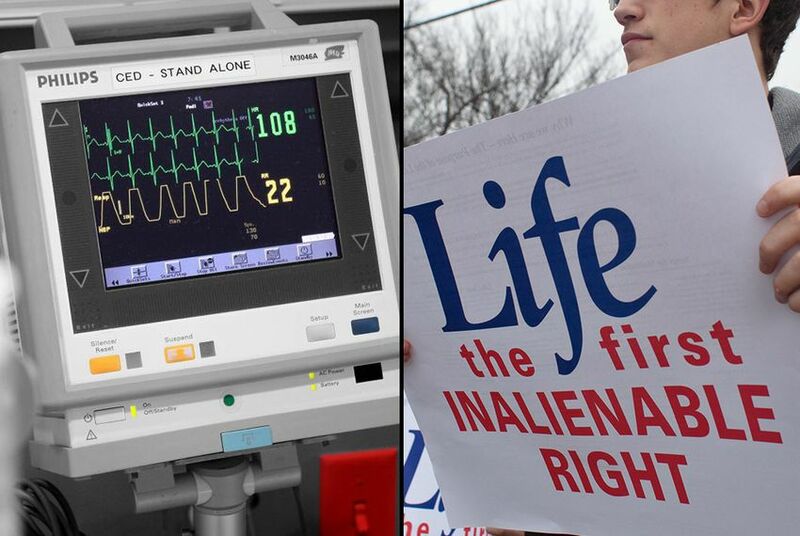 With the House set to consider legislation to re-evaluate the state’s health commission on Sunday, a handful of amendments could set the stage for a fiery debate over end-of-life issues and abortion. Republican lawmakers have filed amendments to Senate Bill 200 that would limit medical professionals’ abilities to override patients' advance directives or their families’ wishes to continue life-sustaining treatment. The fight over end-of-life care has been a perennial one at the Legislature as lawmakers have struggled to decide whether families or medical professionals should make the final decision to end life-sustaining treatment for a terminally ill patient. Texas law allows physicians to discontinue treatment they deem unnecessary. But if a physician’s decision to halt treatment is at odds with patients' advance directives — or if their families or surrogates disagree — patients or their families have 10 days to find an alternative medical provider. They can also appeal the doctor’s decision to a hospital ethics committee. Some lawmakers want to prohibit physicians from discontinuing care against a family’s wishes, while others want to give patients and their surrogates more discretion but preserve a physician’s ability to make a medical judgment to end treatment. The pre-filed amendments would give more weight to a family’s wishes over physicians' recommendations. One pre-filed amendment by Republican state Rep. Bryan Hughes of Mineola would direct the state’s executive health commissioner to develop rules that would prohibit a health care facility or hospital ethics committee from ending life-sustaining treatment based on the “lesser value” the health care facility may place on an elderly, disabled or terminally ill patient versus a young patient who is not disabled or terminally ill.
Hughes said Republicans were pushing the end-of-life measures as amendments to the health agency bill, also known as a Sunset bill, after they were unable to pass them on the House floor. "Sunset bills have always been vehicles for legislation whether from the left or from the right," Hughes said, adding that the bills were fair game despite the "controversy and concern" surrounding end-of-life issues. Another amendment by Republican state Rep. James Frank of Wichita Falls would extend from 10 days to 21 days the time families have to find an alternative medical provider to continue life-sustaining treatment their current physician has deemed unnecessary. Meanwhile, state Rep. Jonathan Stickland, R-Bedford, filed an amendment to prohibit abortions on the basis of fetal abnormalities. In its 20-week abortion ban, the state carved out an exception for abortions in cases of a "severe fetal abnormality," but some conservatives are looking to remove that. This wouldn’t be the first time a debate over a social issue has come during consideration of a state agency review. An April debate on legislation to reform the Department of State Health Services morphed into a fight over abortion, and the bill was pulled down after a pair of anti-abortion amendments, including one repealing the fetal abnormality exception, were tacked onto the bill over the author’s objections.